2009 - 2015 : Arş. Gör. 2015 - 2018 : Yrd. Doç. Dr.
Sofiyev, A.H., Ozyigit, P., 2012. Thermal Buckling Analysis of Non-Homogenous Shallow Spherıcal Shells. Journal of the Faculty of Engineerıng and Architecture of Gazi Unıversity, 27, 397-405. Sofiyev, A.H., Deniz, A., Avcar, M., Ozyigit, P., Omurtag, M.H., 2013. Effects of the Non-Homogeneity and Elastic Medium on the Critical Torsional Load of the Orthotropic Cylindrical Shell. Acta Physica Polonica A, 123, 728-730. Najafov, A.M., Sofiyev, A.H., Ozyigit, P., Yucel, K.T., 2014. Vibration and Stability of Axially Compressed Truncated Conical Shells With Functionally Graded Middle Layer Surrounded By Elastic Medium. Journal of Vibration and Control, 20, 303-320. Sofiyev, A.H., Deniz, A., Ozyigit, P., Pinarlik, M., 2014. Stability Analysis of Clamped Nonhomogeneous Shells on the Elastic Foundation. Acta Physica Polonica A, 125, 459-461. Sofiyev, A.H., Huseynov, S.E., Ozyigit, P., Isayev, F.G., 2015. The Effect of Mixed Boundary Conditions on the Stability Behavior of Heterogeneous Orthotropic Truncated Conical Shells. Meccanica, 50, 2153-2166. Sofiyev, A.H., Deniz, A., Mecitoglu, Z., Ozyigit, P., Pinarlik, M., 2015. Buckling of Shear Deformable Functionally Graded Orthotropic Cylindrical Shells under a Lateral Pressure. Acta Physica Polonica A, 127, 907-909. Sofiyev, A.H., Valiyev, A., Ozyigit, P., 2009. The Buckling of Non-Homogeneous Truncated Conical Shells Under a Lateral Pressure and Resting on a Winkler Foundation. Journal of Solid Mechanics, 1, 14-21. Sofiyev, A.H., Avcar, M., Ozyigit, P., Adigozel, S., 2009. The Free Vibration of Non-Homogeneous Truncated Conical Shells on a Winkler Foundation. International Journal of Engineering and Applied Sciences, 1, 34-41. Sofiyev, A.H., Mecitoglu, Z., Ozyigit, P., Taşkın, M., Pınarlık, M., Kaplan, A.N., 2014. Fonksiyonel Değişimli Malzemelerle Kaplı Seramik Silindirik Panelin Titreşim Analizi. Süleyman Demirel Üniversitesi, Fen Bilimleri Enstitüsü Dergisi, 18, 117-122. Sofiyev, A.H., Avcar, M., Mammadov, Z., Ay, Z., Ozyigit, P., 2008. The Vibration of Freely Supported FG Shell Structures. First International Conference on Seismic safety of Caucasus Region Population, Cities and Settlements Kiriak Zavriev Institute of Structural Mechanics and Earthquake Engineering, Tbilisi, Georgia, 174-176. Sofiyev, A.H., Ozyigit, P., Avcar, M., Zerin, Z., 2010. The Stability of Continuously Non-Homogeneous Spherical Shells Subjected to External Pressure, 9th International Congress on Advances in Civil Engineering, 27-30 September 2010, Karadeniz Technical University, Trabzon, Turkey, SEE151, p.1-7. Sofiyev, A.H., Deniz, A., Avcar, M., Ozyigit, P., Tuglu, M., 2011. On the Vibration of Sandwich Cylindrical Shells with FGM Face Sheets on Elastic Foundations. International Symposium on Advances in Applied Mechanics and Modern Information Technology, 22-23 September 2011, Baku, Azerbaijan, pp. 310-314. Sofiyev, A.H., Zerin, Z., Deniz, A., Avcar, M., Ozyigit, P., Tuglu B.M., 2012. The stability analysis of FGM-Metal-FGM layered cylindrical shells under a lateral pressure, 10th International Congress on Advances in Civil Engineering, 17-19 October 2012, Middle East Technical University, Ankara, Turkey, 0124, p. 1-9. Sofiyev, A.H., Deniz, A., Avcar, M., Ozyigit, P., Tuglu, M., Omurtag, M.H., 2012. Effects of the Non-Homogeneity and Elastic Medium on the Critical Torsional Load of the Orthotropic Cylindrical Shell. 2nd Advances in Apllied Physics and Materials Science Congress, 26-29 April 2012, Antalya, Turkey, pp. 72. Sofiyev, A.H., Deniz, A., Ozyigit, P., Pinarlik, M., 2013. Stability Analysis of Clamped Nonhomogenous Shells on the Elastic Foundation. Abstracts of 3nd Advances in Applied Physics and Materials Science Congress, 24-28 April 2013, Antalya, Turkey, pp. 434. Sofiyev AH, Deniz A, Mecitoglu Z, Ozyigit P, Pinarlik M, 2014. Buckling of shear deformable functionally graded orthotropic cylindrical shells under a lateral pressure. Abstracts of 4nd Advances in Applied Physics and Materials Science Congress, 24-27 April 2014, Mugla, Turkey, pp. 161. Avey, A., Avcar, M., Özyiğit, P., Adıgözel, Ş., 2009. Elastik Zemin Üzerinde Bulunan Fonksiyonel Değişimli Tabaka İçeren Katmanlı Silindirik Kabukların Uniform Yanal Basınç Yükü Etkisi Altında Burkulması. XVI. Ulusal Mekanik Kongresi, 22-26 Haziran, 2009, Kayseri, p. 259-267. Avey, A., Zerin, Z., Deniz, A., Özyiğit, P., Bestelci, U., 2012. Burulmaya Maruz Tabakalı Fonksiyonel Değişimli Silindirik Kabukların Stabilitesi. İnşaat Mühendisliği’nde 100. Yıl Kongresi, 22-24 Kasım, 2012, İstanbul, p. 1-8. Avey, A., Bestelci, U., Avcar, M., Özyiğit, P., 2013. Fonksiyonel Değişimli Malzemelerle Kaplanmış Metal Silindirik Kabukların Serbest Titreşimi. XVIII. Ulusal Mekanik Kongresi, 26-30 Ağustos, 2013, Manisa, p. 82-93. Sofiyev, A.H., Mecitoglu, Z., Ozyigit, P., Taşkın, M., Pınarlık, M., Kaplan, A.N., 2014. Fonksiyonel Değişimli Malzemelerle Kaplı Seramik Silindirik Panelin Titreşim Analizi. Süleyman Demirel Üniversitesi, 7. Uluslararası Katılımlı Ulusal Biyomekanik Kongresi, 16-18 Ekim 2014, Isparta, 153-154, 2014. Avey, A., Deniz, A., Özyiğit, P., Osmançelebioğlu, E., Kaplan, A.N., Yılmaz, D., 2015. Kayma Gerilmeleri İçeren Fdm Çekirdeğe Sahip Sandviç Silindirik Kabukların Eksenel Basınç Yükü Etkisi Altında Stabilitesi. XIX. Ulusal Mekanik Kongresi, 24-28 Ağustos, 2015, Trabzon, p. 133-141. Avey, A., Özyiğit, P., 2010. 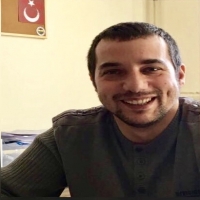 Homojen Olmayan Elastik Küresel Kabuğun Termal Burkulması. Süleyman Demirel Üniversitesi Bilimsel Araştırma Projeleri (SDÜBAP) Yüksek lisans projesi/proje no:1755-YL-08. Avey, A., Özyiğit, P., 2015. Enine Kayma Deformasyonu İçeren Homojen Olmayan Ortotrop Çapraz Tabakalı Kesik Koni Kabukların Dış Basınç Yükleri Etkisi Altında Burkulma Davranışı. Süleyman Demirel Üniversitesi Bilimsel Araştırma Projeleri (SDÜBAP) Doktora projesi/proje no:3007-D-11.